Nice seascape. Your palette is unusual and works very well. 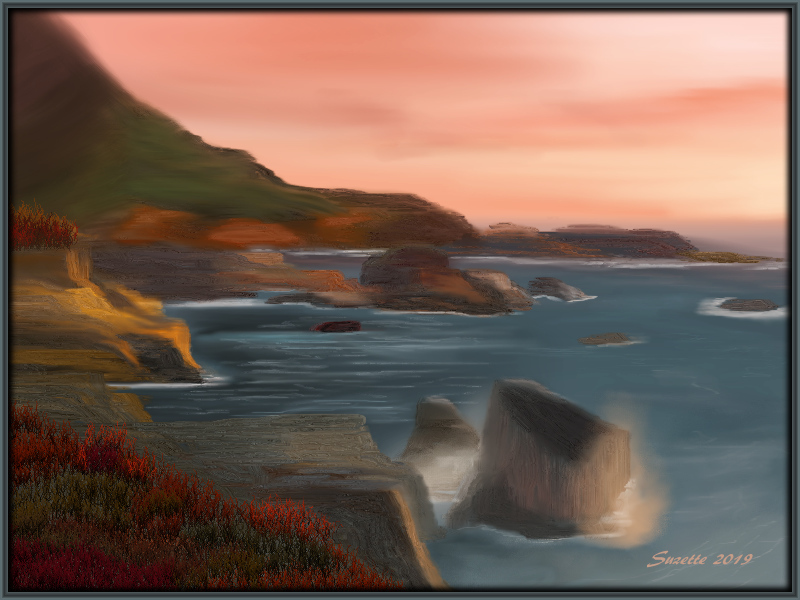 This is so beautiful Suzette, I love your colours and the whole peace of the seascape. Thank you Don and Vivienne for your nice comments, always deeply appreciated. Really appreciate your comments Robyn, I'm glad you like this one. Wow what a gorgeous scene.